Dr. Peter Humaidan presents on LH activity supplementation, differences between LH and hCG, effects of LH on oocyte quality, and more. 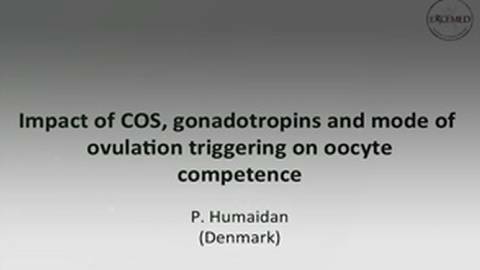 Join Dr. Peter Humaidan in this live presentation entitled Impact of COS – Gonadotropics and Ovulation Trigger on Oocyte Competence, delivered during EXCEMED’s 2017 Annual Conference in Reproductive Medicine, Recurrent Implantation Failure: A Journey into Deep Understanding, held in Milan, Italy 21-22 April 2017. This presentation includes discussion about LH activity supplementation, molecular and functional difference between LH and hCG, the effect of LH activity on oocyte quality, and hypotheses as to the effect of LH supplementation in aging ovaries.